Shaping the eyebrows is a simple thing to execute that can bring about huge changes to a person’s facial features. Oftentimes, many people don’t realize the huge impact that the eyebrows have on their overall appearances. However, keeping the eyebrows shaped with the assistance of an Apple Valley beauty professional can do more to improve an individual’s facial appearance than many other beauty treatments. One of the benefits of undergoing a threading, waxing, or another eyebrow treatment provided by an Apple Valley beauty professional is that they can help people achieve a more youthful appearance. When eyebrows are shaped with just the right amount of arch, they can actually make the eyes pop more since they’ll give the appearance of a lift and will properly frame the eyes. 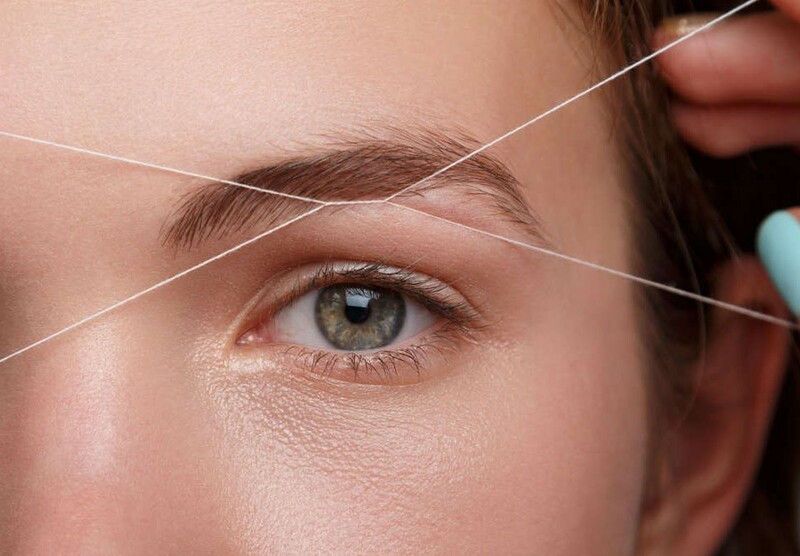 Not only does threading and trimming eyebrows open them up, but it allows room for more eye shadow, contouring and other makeup tricks that can help hide the signs of aging. Having the eyebrows threaded every two to four weeks by an Apple Valley beauty professional can also provide individuals with a more polished look. Eyebrows that aren’t kept maintained can begin to look bushy, uneven and more. By keeping them threaded, trimmed, plucked or waxed periodically, individuals can instantly make their facial features appear more elegant, classy and clean. Plus, this is even true for women when they aren’t wearing makeup. Well-polished eyebrows can even make a huge difference without the addition of makeup since they add a slightly polished look on their own. Eyebrows tend to grow back quickly, so when people want to change up their looks, they can allow more time for their eyebrows to fully grow back, and then they can simply inform an Apple Valley beauty professional of the look they’re trying to achieve before their next threading or waxing session. The ways to shape eyebrows are virtually endless. Individuals can try romantic brows, dramatic ones, natural ones and even drastic ones for a noticeable change in their facial appearances. Eyebrows are perfect for making a statement about one’s personality. For instance, depending upon the style of eyebrows that people get their Apple Valley beauty professionals to execute on their eyebrows, they could be seen as the serious career women, the girl next door or the sophisticated diva. That is how much impact the eyebrows can have on an overall look.